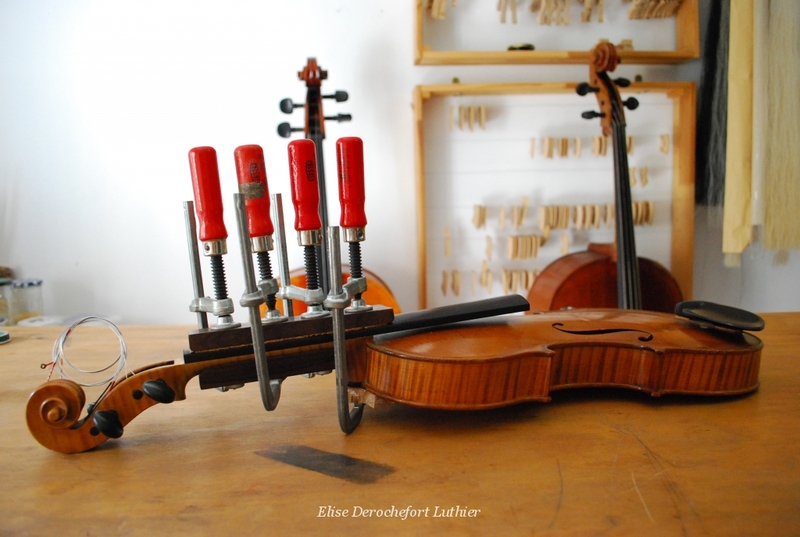 Fascinated by the know-how of traditional craftsmen and seduced by the wold of music, at the age of 16, I naturally veered towards training in Violin Making and Repair. 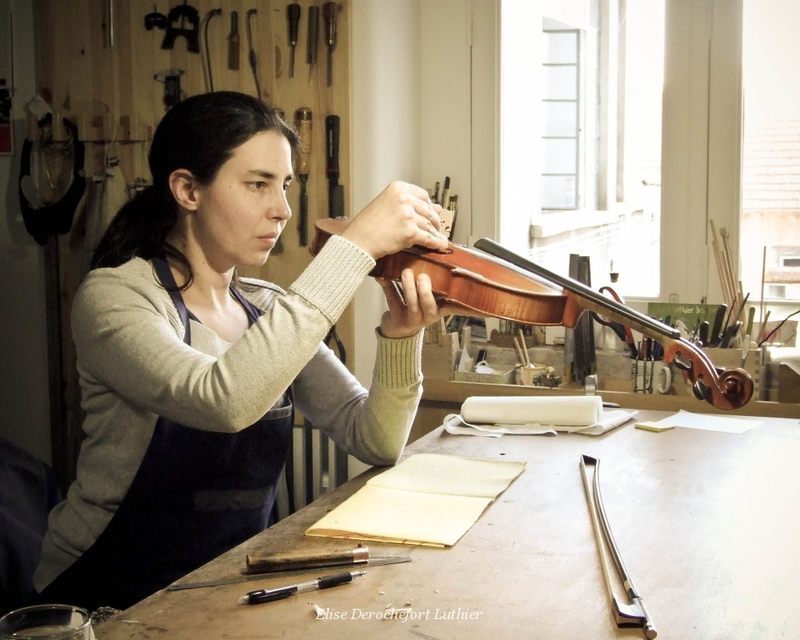 I therefore, studied for 5 years at the French School of Violin Making, at Mirecourt, where I gained a technical Diploma in instrument making, specializing in violins as well as a Diploma in restoration (Diplôme des Métiers d'Art). 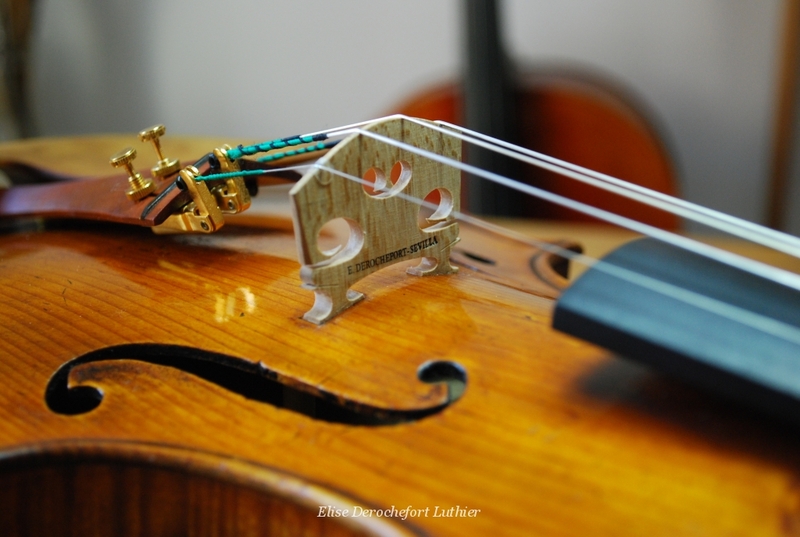 This enabled me to receive cello lessons at the same time. In addition, during those years of training, I also did a number of internships in various workshops throughout Europe such as Jan Strick's in Brussels, Bruno Dreux´s in Orléans and Denis Eschenbrenner's in Lyon amongst others. From 1997, I have had the chance to be a member of the team in Wilder and Davis' workshop in Montreal for 2 years and then worked for 5 years as an assistant to Christian Bayon in Lisbon. 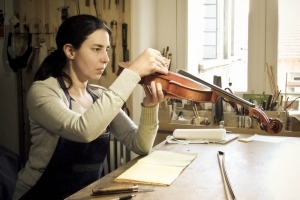 I have increased my knowledge and learnt new techniques in restoration, repairs and bow making, surrounded by the most beautiful instruments and bows. On the strength of that experience, I opened my own workshop in Seville in 2006 and moved it to Lisbon in 2013.